Karaite scholar of Chufut-Kale, Crimea; died Feb. 17, 1754. He was the author of a work entitled "Me'il Shemuel," a commentary on Aaron ben Joseph's "Ha-Mibḥar." 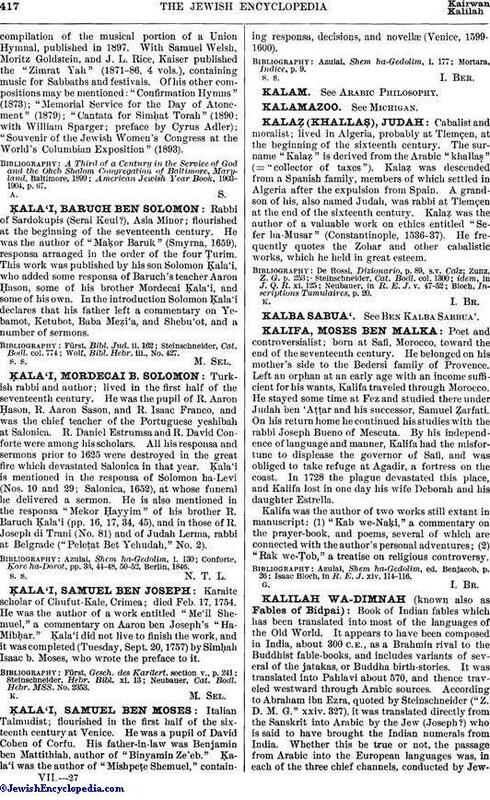 Ḳala'i did not live to finish the work, and it was completed (Tuesday, Sept. 20, 1757) by Simḥah Isaac b. Moses, who wrote the preface to it. Neubauer, Cat. Bodl. Hebr. MSS. No. 2353.